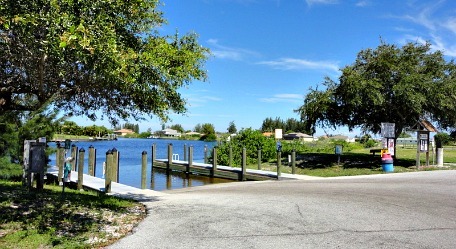 Cape Coral Boat - Find out where all of the boat ramps and launches are in our boating and fishing paradise! 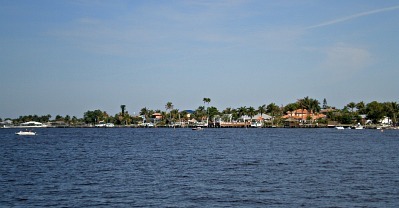 With 400 miles of canals, many lakes, the Caloosahatchee to the east, Matlacha Pass to the west, and proximity to the Gulf of Mexico, Cape Coral is a boater's heaven! 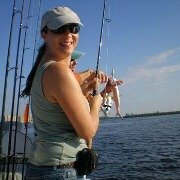 Not only that, the Cape is close to the fabulous beaches of Sanibel, Captiva, Ft Myers and more, plus we have some of the best fishing in the world. We have 5 different boat launches throughout our city, 4 of them lead out to the river, 1 of them leads to a system of interior canals ........ 3 are located in the SE part of the Cape, 1 is in the SW, and 1 is in the NW. 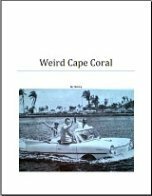 Cape Coral takes pride in accommodating its residents with ramps at several locations ......... Rosen Park, Horton Park, Yacht Club Beach, Burnt Store Ramp, and BMX Park Ramp. 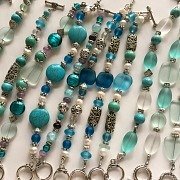 Rosen Park on Chantry Canal is in SE Cape Coral, to get there, you need go east on Viscaya Pkwy from Del Prado Blvd, at the end head south on SE 24th Ave, then left on SE 15th Terrace. 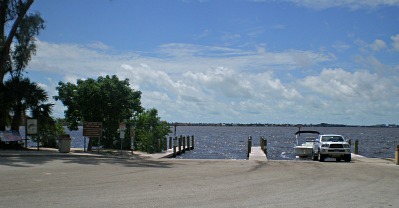 By boat, turn west on the river at Marker #58, the park is 11.2 statute miles from the Sanibel Causeway. 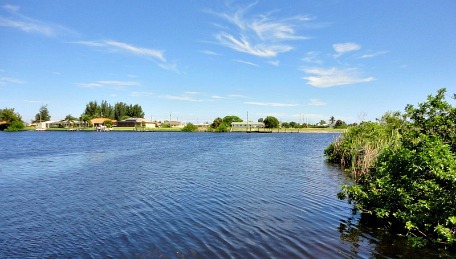 There are 2 ramps, 30'x60', very close to the Caloosahatchee, a pumping station, fishing pier, plenty of trailer and vehicle parking, 3 new picnic pavilions with grills, and boardwalk right on the canal. 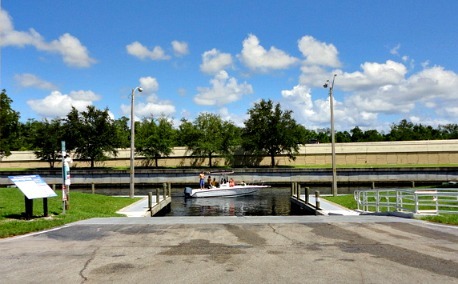 You can also rent one of 19 wet slips for boats up to 40', annually or otherwise, where you can live on board because there is a sewage pump that is operated on Mondays from 10AM-2PM, 30/50 amp electric service, potable water, and security gate. 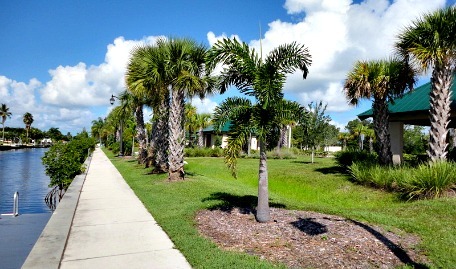 South from Rosen Park is Horton Park, which is right on the Caloosahatchee near the Midpoint Bridge at the end of Everest Pkwy, off of Del Prado Blvd. 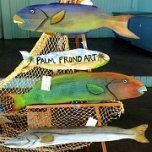 By boat, Horton Park is 10.9 statute miles from Sanibel Causeway. There is one ramp and it is just a matter of yards to the river ......... there's plenty of parking for boat trailers. 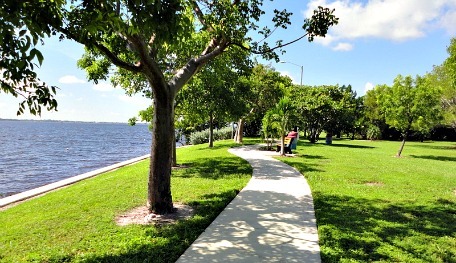 This Cape Coral boat ramp was recently improved the summer of 2012, and has a lovely walking path on the waterfront of the park with benches and picnicking under shade trees, and bathroom facilities. Horton Park gets pretty busy on weekends, particularly during season, but that's okay, we have 4 more ramps! Also in the SE and south from Horton Park is another busy boat ramp at Yacht Club Community Park, which has a marina, beach, pool complex, and more. 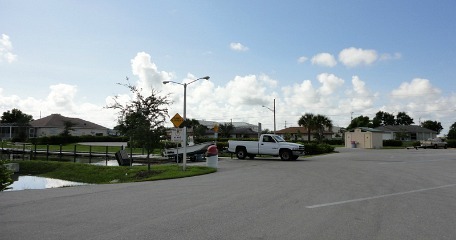 It's located at the end of Coronado Pkwy, south from Cape Coral Parkway at the entrance to Yacht Club Beach. Two ramps are right on the Caloosahatchee and even closer to the Sanibel Causeway, only 5.5 statute miles, about a 30 minute ride. You can suntan at the beach first, grab a meal at the snack bar at Ford's boathouse, and gas up before you head out or on the way back. 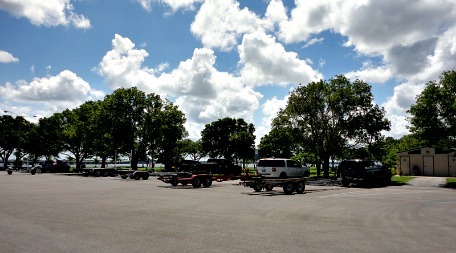 There's tons of parking at Yacht Club Marina for vehicles and boat trailers, as well as boat slip rentals. BMX Park is in SW Cape Coral, off of Trafalgar Pkwy, between Santa Barbara and Skyline Blvds. The ramp leads to interior freshwater canals and several lakes ......... Alhambra Lake, Lake Kennedy, Saratoga Lake, Shamrock Lake, Killerney Lake, and Weatherly Lake. 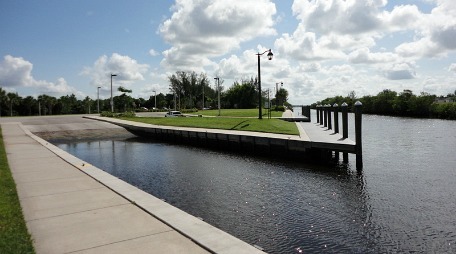 It was refurbished in 2009 and has restrooms, a double boat ramp, paved parking, and a dock. For those living in the NW, you have quick access to a ramp on Burnt Store Rd between Ceitus and Embers Pkwys. 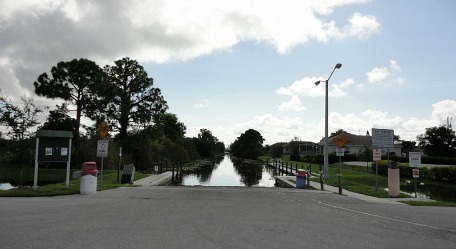 With this ramp, you have access to lakes and the NW Spreader Canal, which leads out to Matlacha Pass and beyond to the Gulf of Mexico. Restrooms, parking, and a picnic shelter are all available. 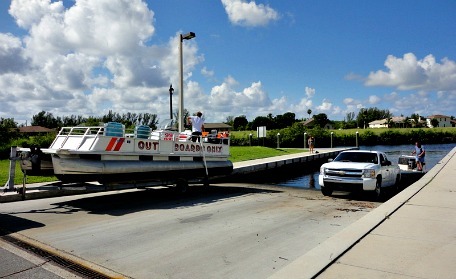 Each launch area is equipped with easy-to-use pay stations, and Cape Coral residents can now purchase annual boat trailer parking decals for only $50 each instead of the $10 daily parking fees. 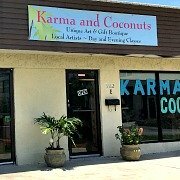 Commercial decals are available for $100, and decals are renewed one year from date of purchase instead of every September. You can buy decals from the Harbormaster or Rotino Senior Center at the Yacht Club, or Parks and Rec on the 2nd floor of City Hall.